An effective way to measure liquid flow in open channels employs a combination of non-contact Laser Doppler Velocity technology and non-contact Ultrasonic Level technology. Teledyne ISCO manufactures a variant of their LaserFlow non-contact flow meter that incorporates both velocity and depth sensors into a single compact unit. The sensor uses advanced technology to measure velocity with a laser at single or multiple points below the surface of the water or wastewater stream. An ultrasonic level sensor provides the depth of the flow, and the system determines a sub-surface point at which to measure velocity. The sensor then focuses the laser at the designated point and measures the frequency shift of the returned light. A specially designed mounting bracket enables deployment of the sensor in a manner that permits removal from street level, avoiding the risk and expense of confined space entry. A variety of communication options enable programming and data retrieval from a remote location as well. Built-in diagnostic tools simplify installation, maintenance, and advanced communication options reduce site visits. 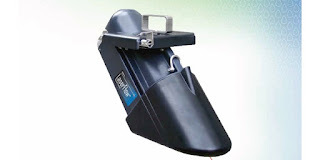 Following initial installation and adjustment, the sensor can be installed or removed as needed without manhole entry in most situations, using the optional sensor retrieval arm to grasp the handle. The handle's simple yet effective locking mechanism holds the sensor securely in place, and is easy to engage and release from above ground. Share your open channel flow measurement challenges with measurement instrumentation experts. Leverage your own knowledge and experience with their product application expertise to develop an effective solution. Non-Contact Open Channel Flow Measurement from Instrument Specialties, Inc.